Tailor-made snow holidays to suit every budget. Book 7 nights by 31 August 2019 and only pay for 5. That's 2 nights free. Plus receive a complimentary 2-day Naeba & Kagura areas lift pass per person. Book 5 nights by 31 August 2019 and only pay for 4. That's 1 night free. Plus receive a complimentary 1-day Naeba & Kagura areas lift pass per person. Book 7 nights between 01 September - 31 October 2019 and only pay for 6. That's 1 night free. Plus receive a complimentary 1-day Naeba & Kagura areas lift pass per person. Excludes travel dates between 28 December - 03 January 2020. Subject to availability. Book by 31 August 2019, and receive 50% off ski hire. Discount applies to ski & snowboard hire and snow wear. Valid with stays of 7 nights, or 5 nights if booked by 30 June 2019. Your entry has been submitted. Our team will review your submission! Thanks Again! We offer the largest range of options, more than any other site. 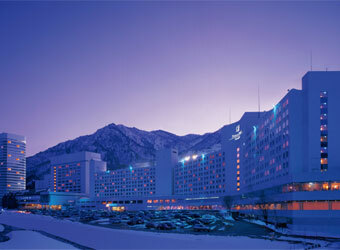 We offer the best deals on airfares and snow accommodation throughout Japan. Our experienced travel consultants are dedicated to providing a high level of customer service and support to all our clients. Our dedicated team have been booking and managing snow holidays in Japan since 1993. "I want to say a huge thanks for the professional service Deep Powder Snow Holidays did in organising our Niseko experience. We all had an unforgettable time riding amazing powder and everything went so smoothly - couldn't of asked for more!" I had an absolutely wonderful & amazing trip. The snow was great, the accommodation terrific & arrangements ran like clockwork. Being our first visit to Japan we couldn’t have asked for better arrangements & conditions. Your documentation supplied with the itinerary was fantastic & detailed everything we needed know. Many thanks & we sure will be making another trip to Japan in the not too distant future. Book a Snow Holiday with the Japan Experts. Call Us with your Enquiry or complete our Online Form with your details.